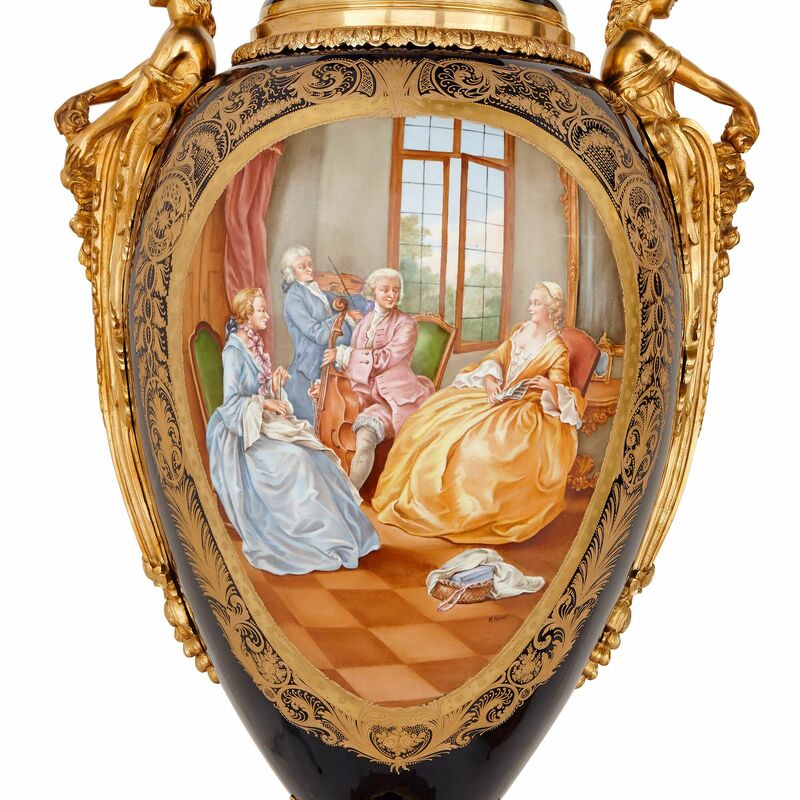 These majestic porcelain vases, built on a monumental scale, exhibit finely detailed scenes to the front and back, beautiful gilding and sumptuous ormolu mounts. Works inspired by the 18th Century output of the Sevres porcelain manufactory in France abound, but few achieve the technical sophistication of a pair such as this. 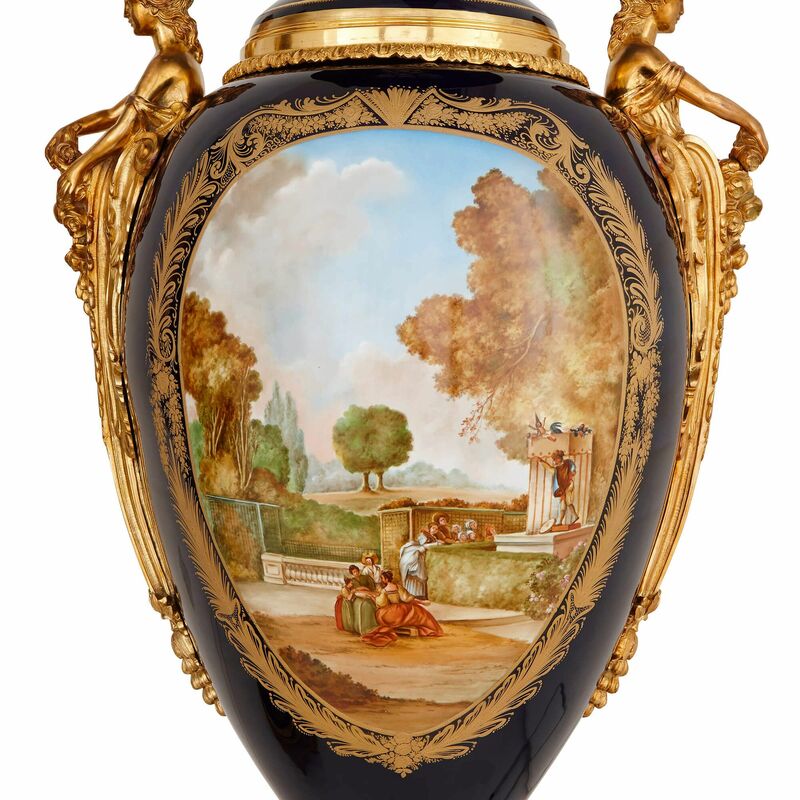 The vases are monumental in size, and have been exquisitely decorated and detailed to the highest of standards. 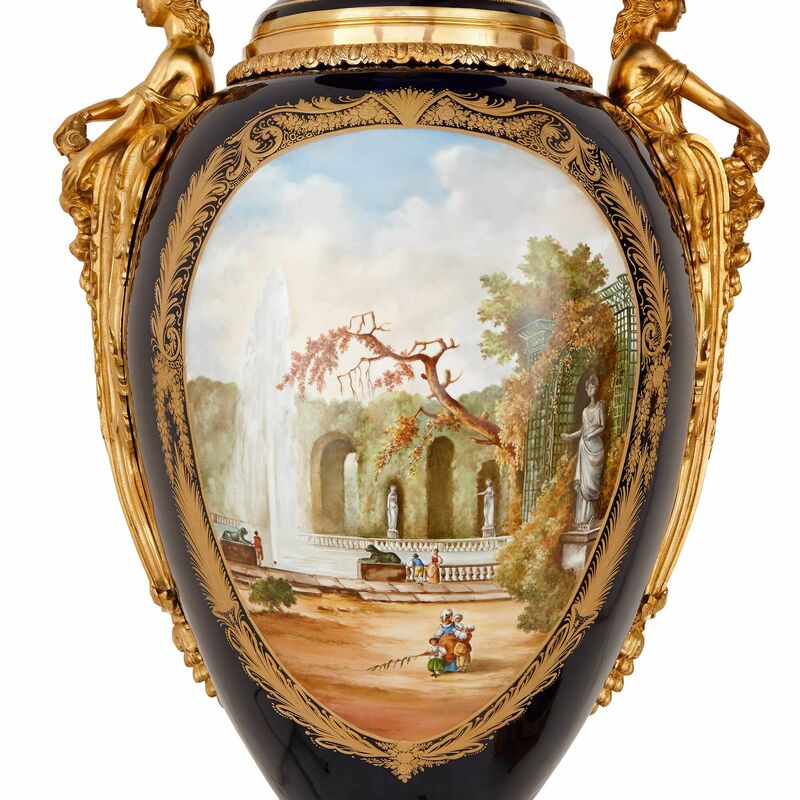 Each vase is ovoid in shape, and decorated with cartouches showing interior scenes in the 18th Century style on the front, and parkland scenes on the reverse. 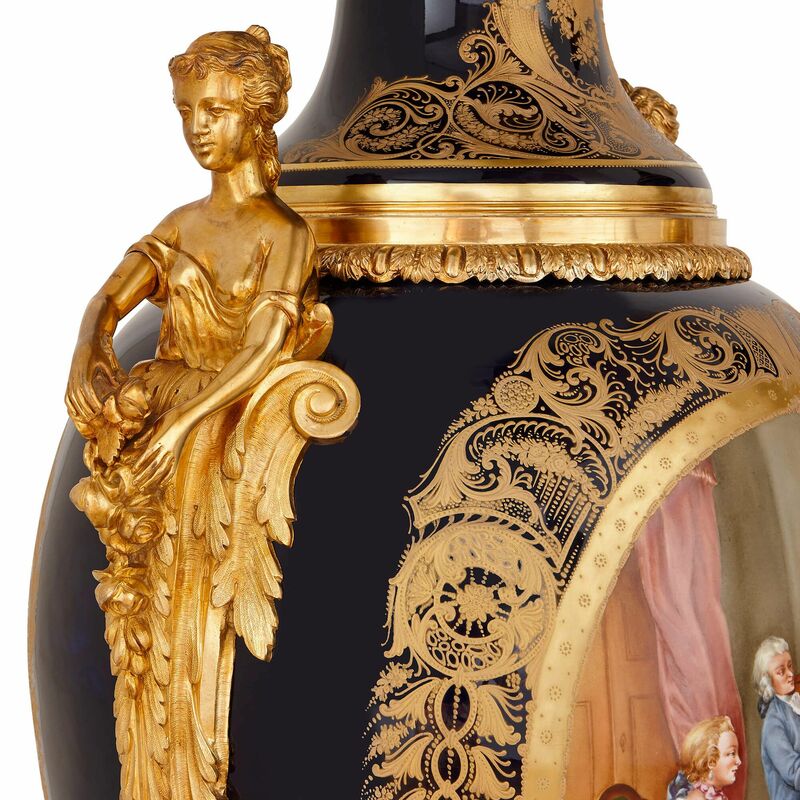 The cartouches are set inside scrolling gilt borders, on the classic Sevres blue ground. 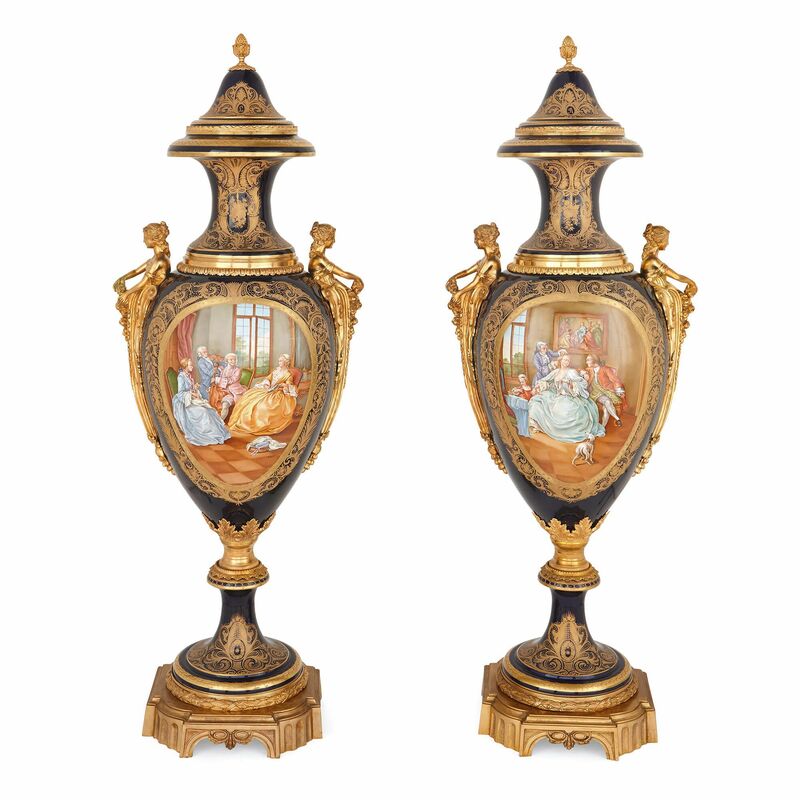 There are further gilt decorations to the necks, covers and socles, which blend seamlessly with the ormolu mounts at the bases, rims and handles of the vases. 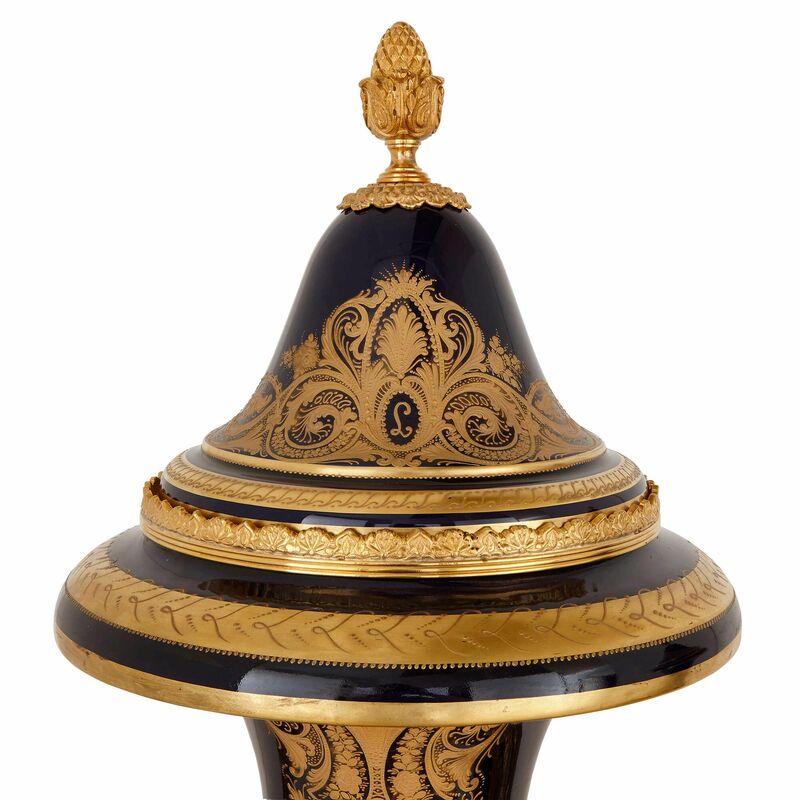 The handles are especially impressive, taking the form of ormolu caryatids, with acanthus leaf drapery and floral garlands below. 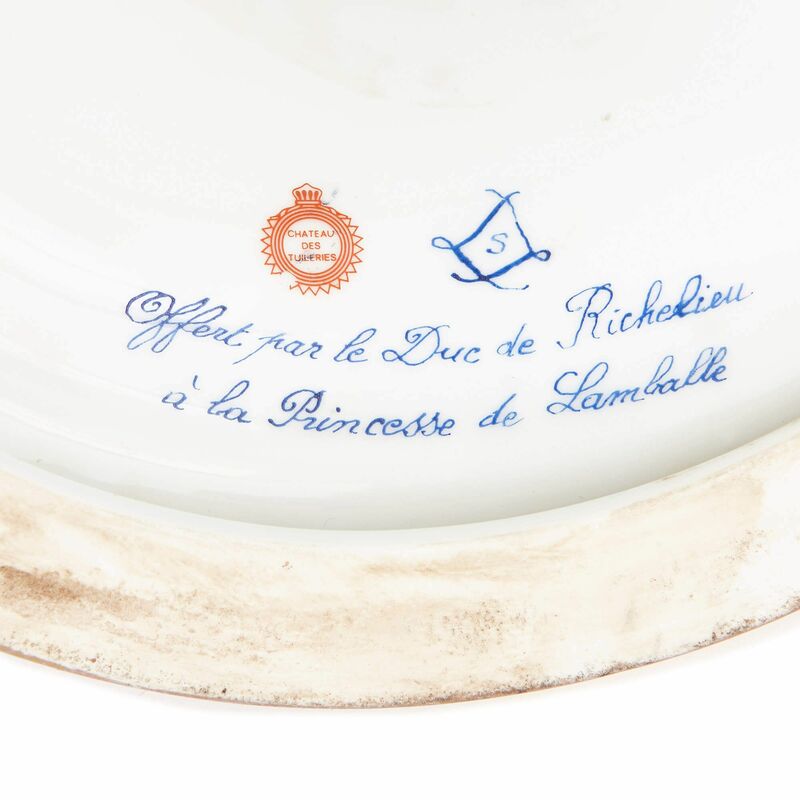 The underside of each lid is marked with spurious marks, including the Sevres interlaced-L mark, a stamp for the Chateau des Tuileries, and an inscription reading 'Offert par le Duc de Richelieu / a la Princesse de Lamballe'. 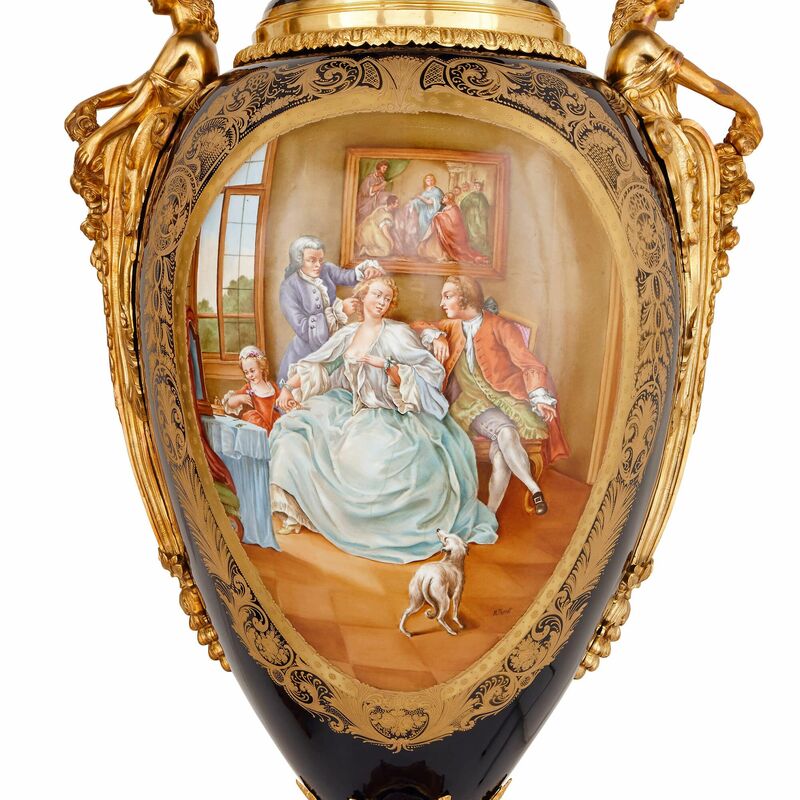 Each of the cartouches are signed 'M. 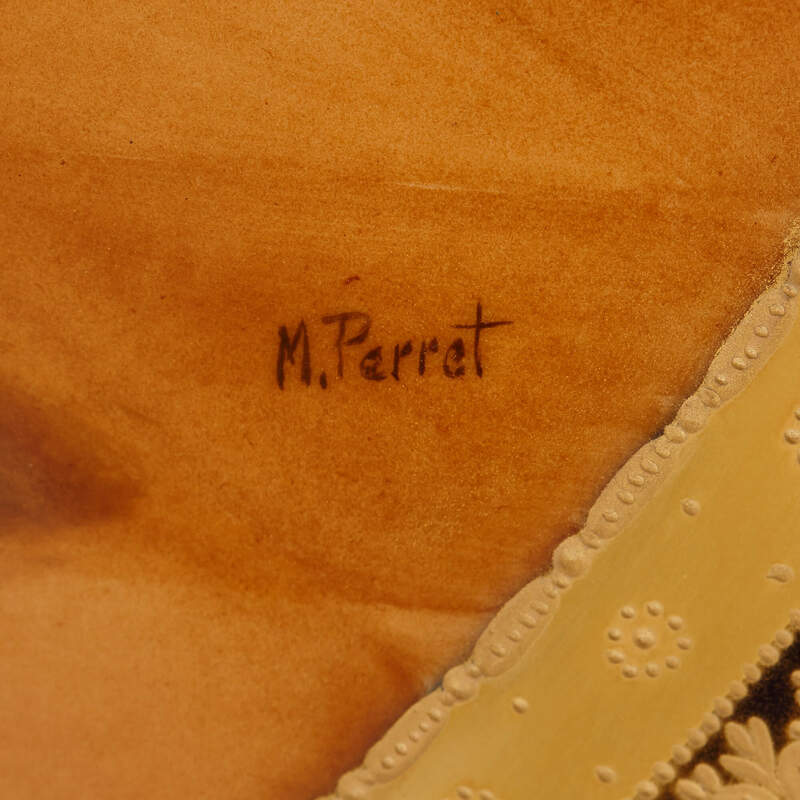 Perret'.